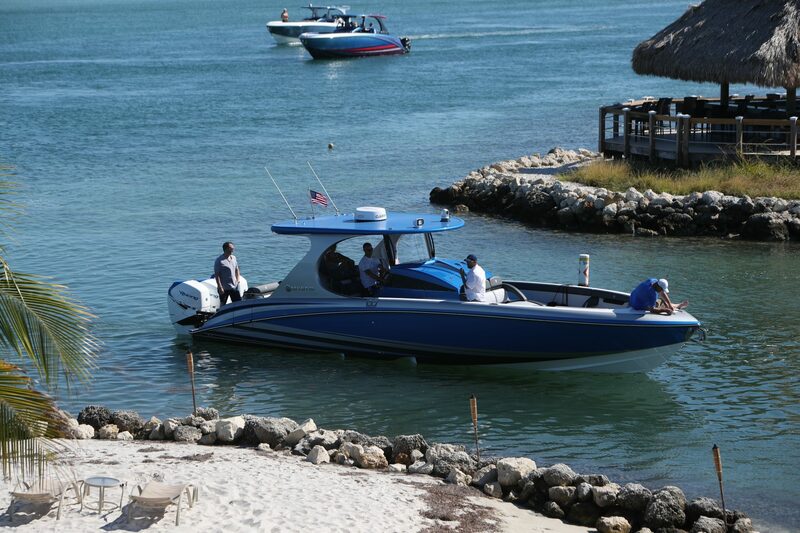 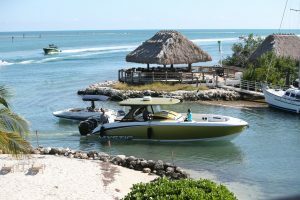 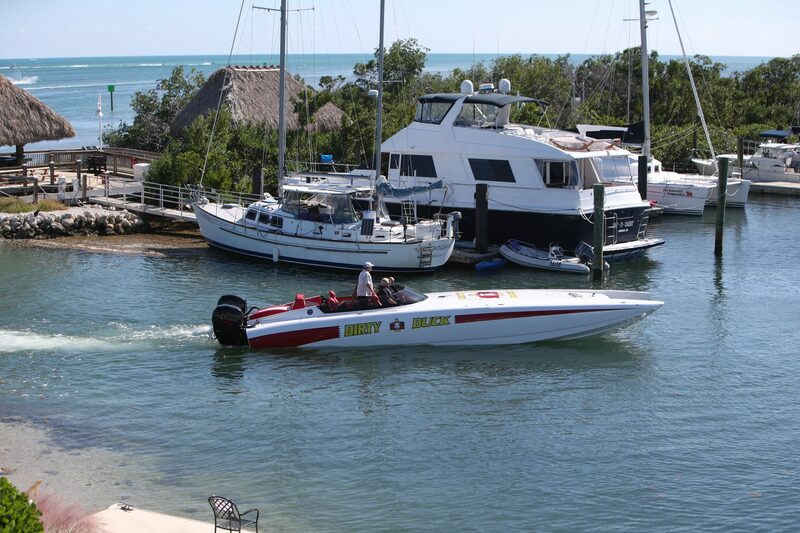 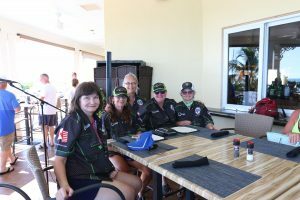 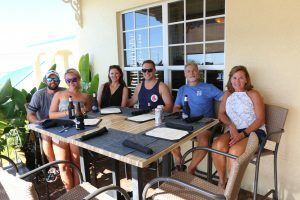 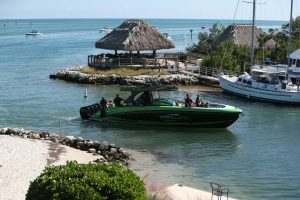 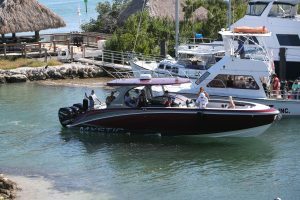 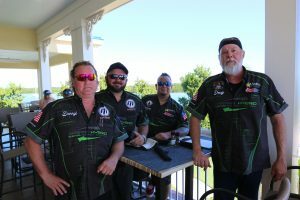 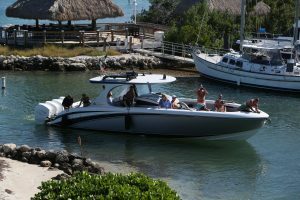 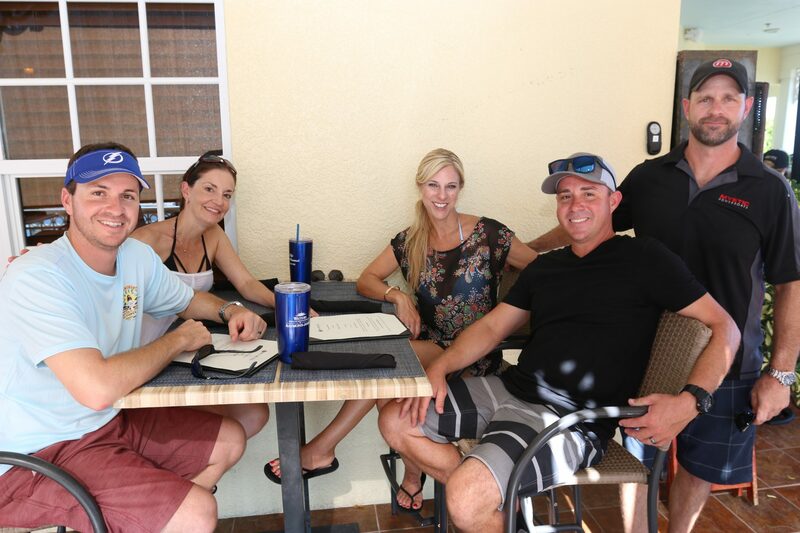 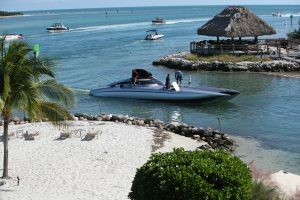 Mystic Powerboats of of DeLand, FL, hosted its second annual owner’s lunch run during last week’s Key West Offshore World Championships—a jaunt that took them to beautiful Stock Island. 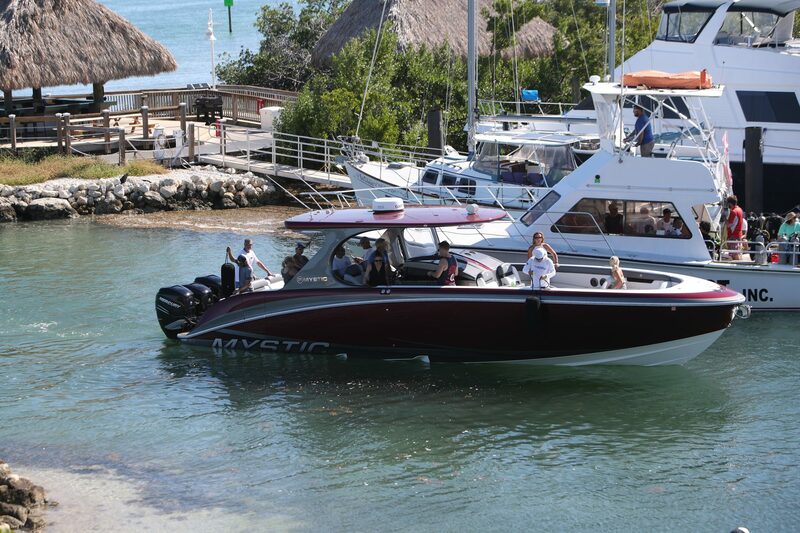 Anybody who owns a Mystic was invited to join company owner John Cosker, along with sales and marketing manager Greg Weber, on a run that took them from Galleon Marina in Key West at 1:30 p.m. on Saturday to Stock Island, with a photo shoot in between. 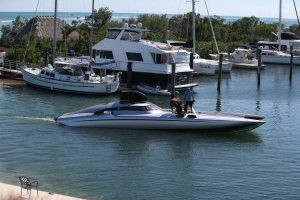 The shoot, spearheaded by photographer Pete Boden, caught individual shots of each Mystic on the run before proceeding to the Key West Harbour Yacht Club and Marina. 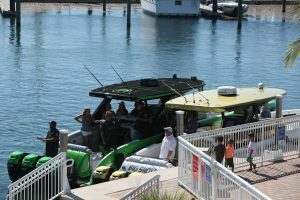 A dozen boats participated—roughly double the amount of last year’s fleet—with around 80 people joining Mystic’s leaders for lunch, according to Weber. 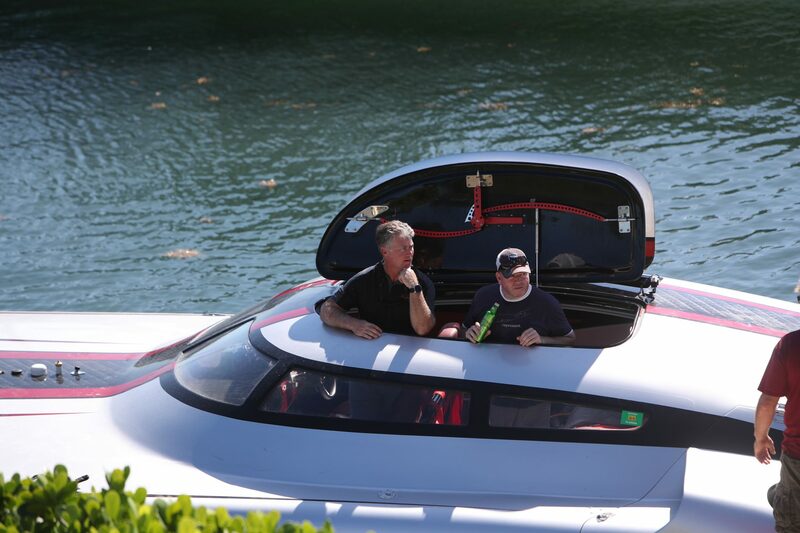 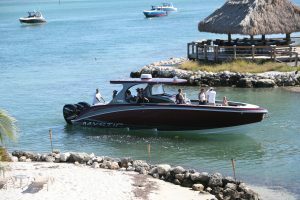 A 38’ center console, several 42’ center consoles and the Dirty Duck C3800 catamaran recently delivered to Slug Hefner (and displayed at the Fort Lauderdale International Boat Show) were among the boats involved. 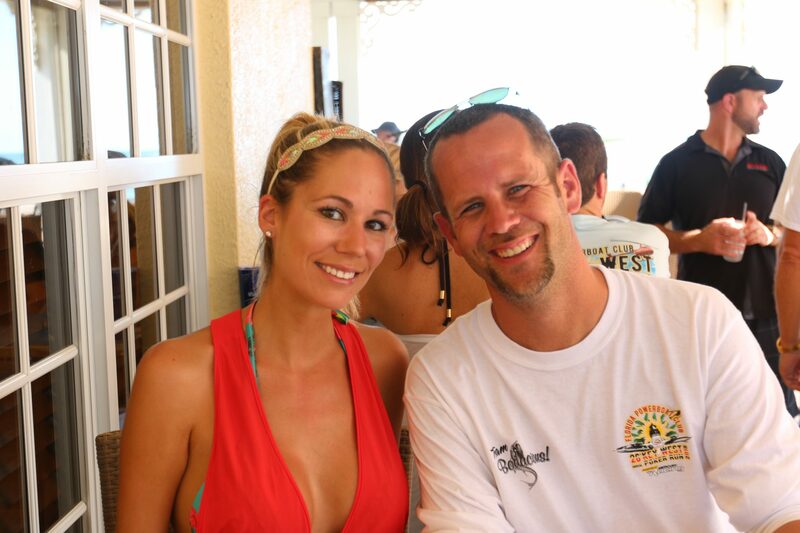 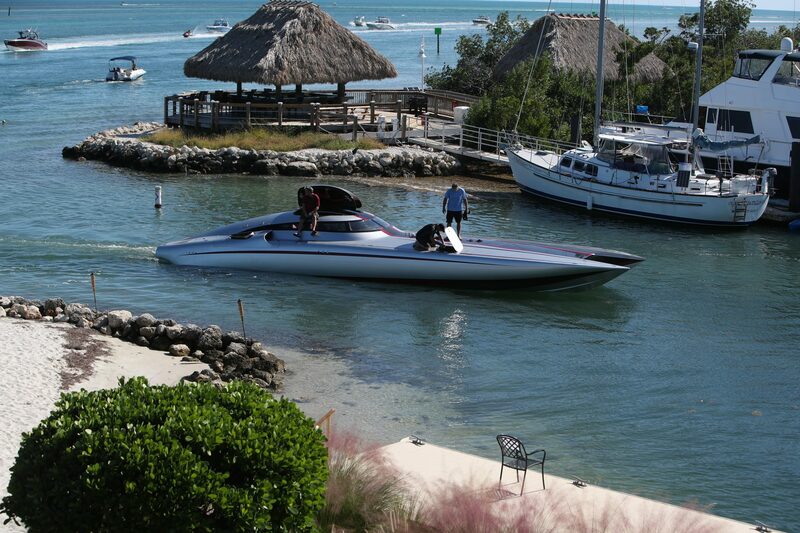 Hefner, who is from Missouri, joined the other Mystic owners for the Key West Offshore World Championship event. 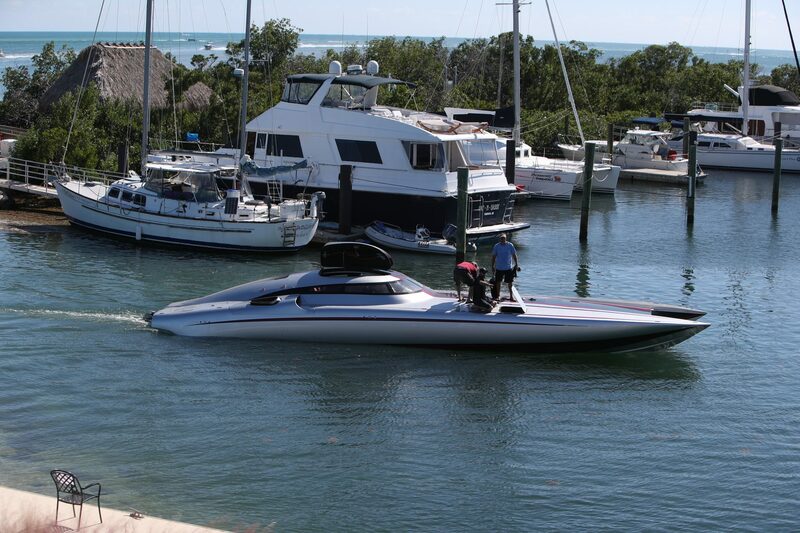 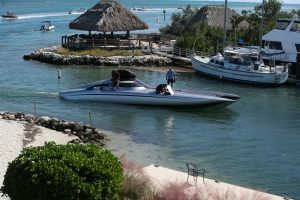 Chris Cox, driving his turbine-powered 50’ Mystic Cat with Cosker, was also on hand, having brought the boat to Key West on Stu Jones’ Key West Poker Run.